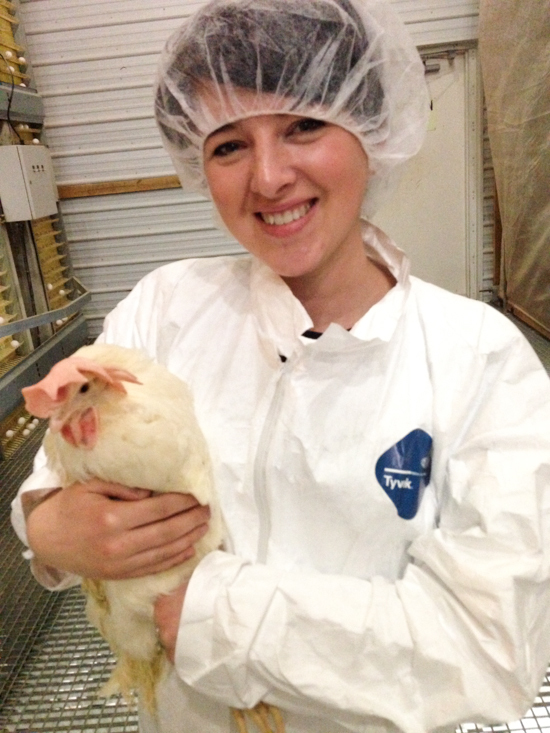 This post is a sponsored conversation on behalf of the Ohio Poultry Association. All opinions are my own. 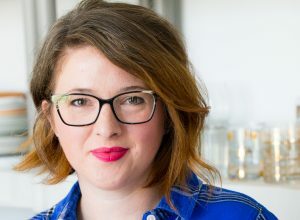 My family doesn’t boast hundreds of recipes that have been passed down and made again and again, but we do have a few, and the ones we have are held in very high esteem. We’re not fancy folks, and growing up in the Midwest my parents and grandparents have always made good ol’ comforting food. Some of my family’s favorites are my mom’s Swirl Chip cookies and my Great-grandma’s Butterscotch Haystacks. It’s no wonder that my favorite family recipes revolve around the holidays. Perhaps it’s nostalgia, but I think it’s just when we tend to put a little extra something into our cooking. 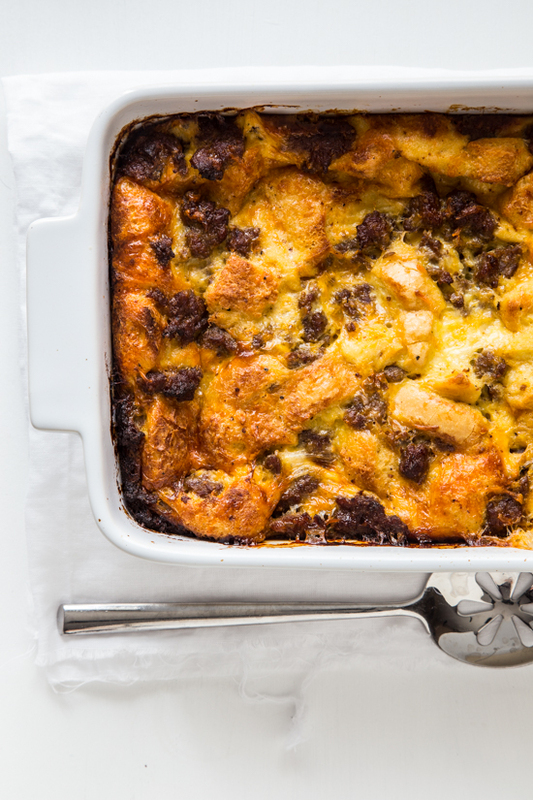 When I was invited by the Ohio Poultry Association to share one of my family’s favorite holiday recipes featuring eggs, I knew immediately that I wanted to share our family’s sausage egg souffle. 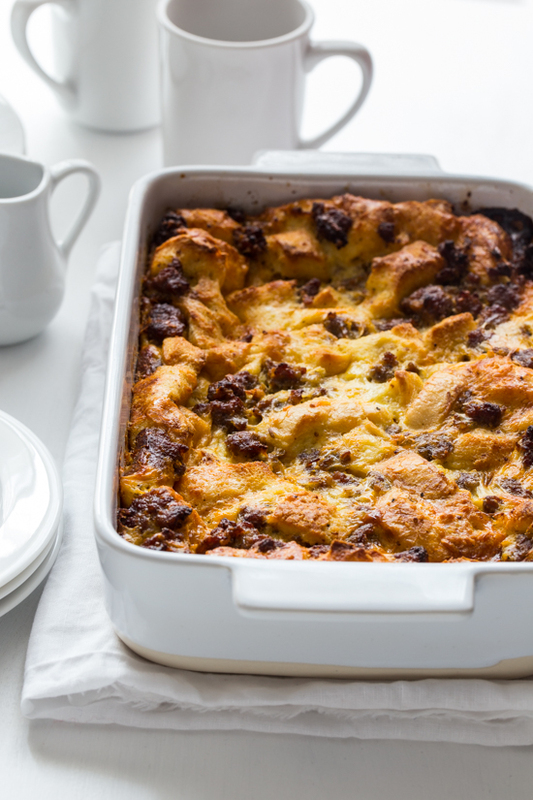 It’s full of eggs, sausage and cheese so really, how could it not be fabulous? Now, is this actually a soufflé? Probably not. That’s what the recipe card says, in my Grandma’s handwriting from 1980 (yes, this recipe predates me) so that’s what I’m going with. Now, in reality, this recipe was around before that, but that was when the recipe was written down neatly on some cards to pass out to friends and family for a large church event that my Grandma was involved in organizing. This is a recipe that my mom has made so many times I can’t even begin to count. She always gets it ready the night before a brunch – usually for Christmas, Mother’s day, a birthday or Easter). Sometimes her oven timer gets set to preheat and bake it while we’re away at church, and other times my dad gets the assignment of heading home from mass early to get the sausage egg soufflé baking and ready before the brunch starts. In all honesty, this is my very first time making this. As I said, my mom or Grandma usually is in charge of readying the sausage egg soufflé, but I was thrilled to be able to try my hand at it. Thrilled and terrified that I would mess it up and it wouldn’t turn out the way it does when they make it. Mine turned out delicious, but I think like all good family recipes, it never quite tastes the same as when your mom makes it. This will surely be the recipe that I make for my kiddos this year. I can almost smell it baking while they’re opening their presents from Santa. I love that my kiddos love eggs, because they are truly one of my very favorite foods. We eat eggs at least once a week for dinner, be it a frittata or potato hash and eggs and a fried egg on toast with spinach and feta cheese is pretty much all I’m eating for lunch these days. Back in the spring, I had the pleasure of traveling to Columbus, Ohio with the OPA and learning all about the incredible egg. It was a fabulous trip and one that I still think about every time I crack an egg – which, as I said is just about daily. I learned so much about eggs on my trip, that it was great to get to know this food that I have loved for a lifetime, on a whole new level. Eggs are not only a great source of protein, vitamins and minerals, but they have about 14% less cholesterol and more vitamin D than previously thought. And having a great-grandmother who ate an egg every day of her life and lived to be 94 years old, I tend to agree that eggs are pretty incredible. Eggs are fabulous any time of year, but during the holidays they are so important. Between baking and entertaining, more eggs are consumed during the winter holiday season than any other time of the year – including Easter! How awesome is that? 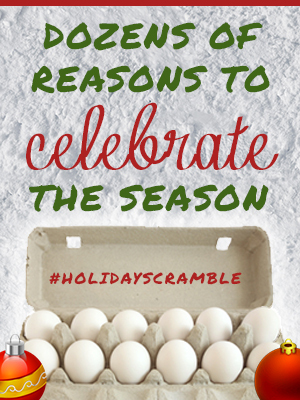 For more fun egg facts as well as a flurry of egg recipes and ideas, join me tomorrow, December 10 from 9-10 pm EST for the #HolidayScramble Twitter Party. 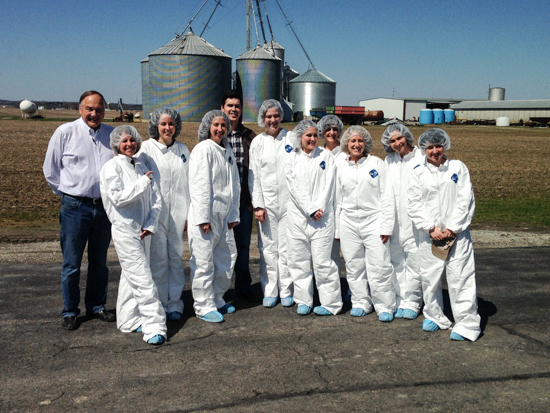 I’ll be joined by the Ohio Poultry Association as well as some of my very favorite blogger friends and we’d love to hear your favorite holiday egg recipes, whether it’s sweet or savory! Hope to see you then! This post was sponsored by the Ohio Poultry Association. For more information about eggs, please visit the OPA website or find them on Facebook, Twitter, YouTube and Pinterest. Brown sausage in a skillet, breaking into small pieces as it cooks. Drain and let cool. In a large bowl, whisk together eggs, milk, mustard, salt and pepper (if using). Add sausage, cheese and bread to the egg mixture, mixing gently with a large spoon. Carefully transfer to a 3 quart baking dish, cover and refrigerate overnight. Uncover and place dish in the oven and heat oven to 350 degrees. Allow soufflé to bake for about 60 minutes or until puffed and golden. Serve hot and enjoy! I like to place the dish into a cold oven to avoid any rapid temperature changes to my casserole dish that could cause breakage or cracking. This looks so good Emily! Would be a great make-ahead bfast too! This is awesome. 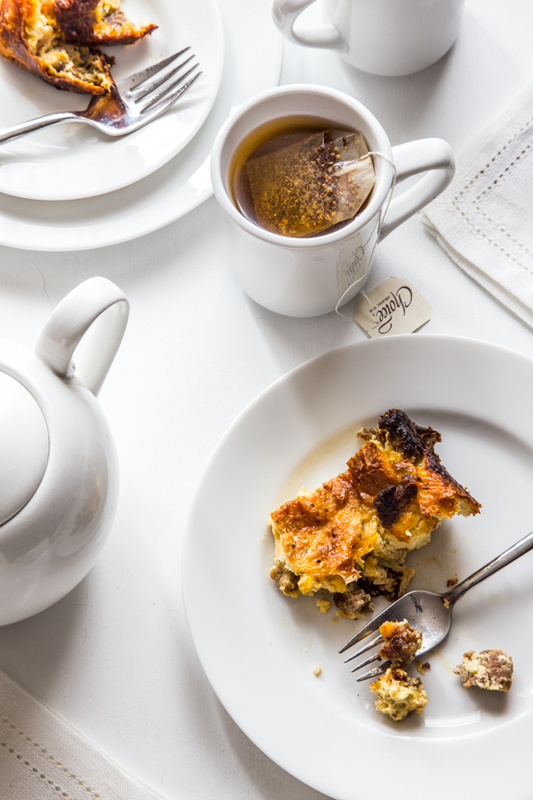 It looks like the type of food that makes you relax instantly–infusing a bit of the brunch spirit into the everyday. I love the addition of mustard! Classic Midwestern holiday breakfast, right here! I’ve made a version of this multiple times, though I’ve never added mustard. Have you tried it with maple syrup drizzled over the top? Sounds a little weird I know, but so good! 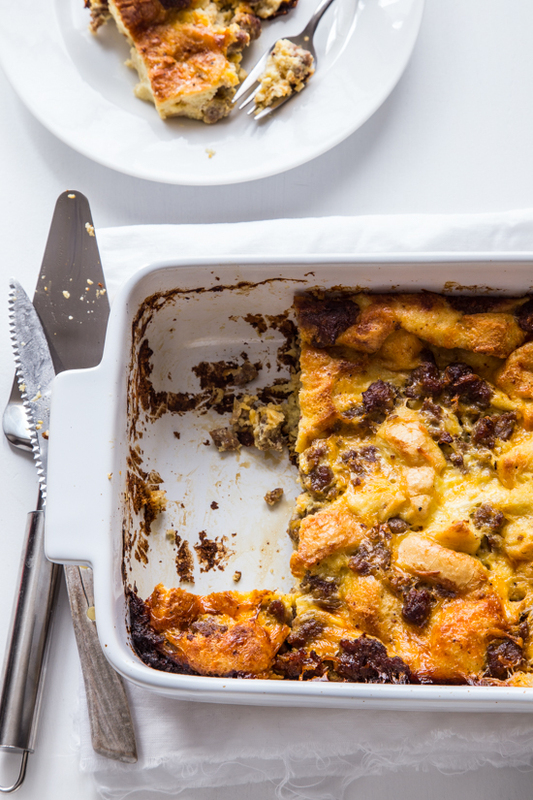 This is just the kind of casserole I want to wake up to on a blustery winter morning. I can’t wait to try this! 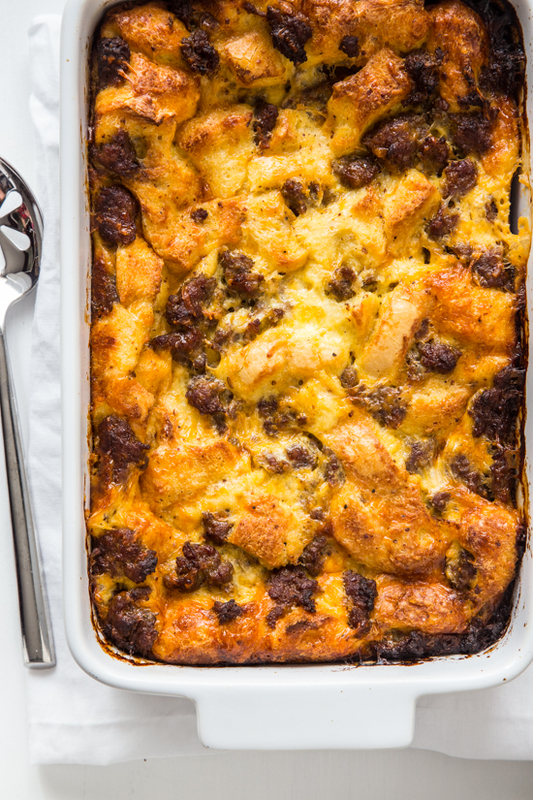 Perfect recipe for breakfast or dinner! Very true! I’m a breakfast for dinner kind of girl! How many pieces of bread is 6 oz? I don’t cook but want to try this. It looks delicious! Does it make any difference if egg soufle us baked in metal or glass oan?